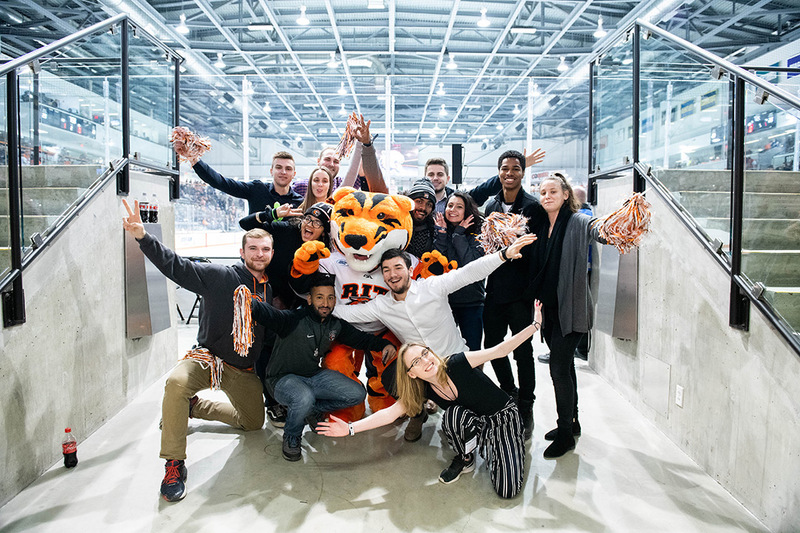 Student Government leaders from RIT campuses in Dubai, Kosovo, Croatia and Rochester met at the sixth annual Student Government Global Consortium and attend a Tigers hockey game on Saturday. Although they attend colleges thousands of miles away, student leaders from Rochester Institute of Technology’s global campuses found common goals to improve student experiences, cultural understanding and lasting friendships at the sixth annual Student Government Global Consortium, held at the main RIT campus Jan. 4-7. “The first day we met, we were like we had actually been friends for three or four years,” said Ronald Noronha, Student Government president from RIT’s Dubai campus, which hosted the consortium last year. While it was important to show off RIT’s Henrietta campus, it was just as important to show the visitors a bit of Rochester, said RIT Student Government President Bobby Moakley. The students experienced some Rochester cuisine, checked out Artisan Works and for some, their first hockey game, when they witnessed a last-second winning goal by RIT. “We wanted to show them how RIT is really a part of Rochester culture, and RIT is influenced by Rochester,” Moakley said. Sandra Johnson, RIT’s senior vice president for Student Affairs, said she was pleased Rochester could host this year’s consortium for the students and their professional advisers. “This helps the students bridge experiences that are meaningful, strategic and important for their fellow students around the world,” she said. Despite a 13-hour difference, seven RIT students from China participated in their first Student Government consortium, via videoconference. They weren’t able to attend in person this year due to finals week there, Moakley said. 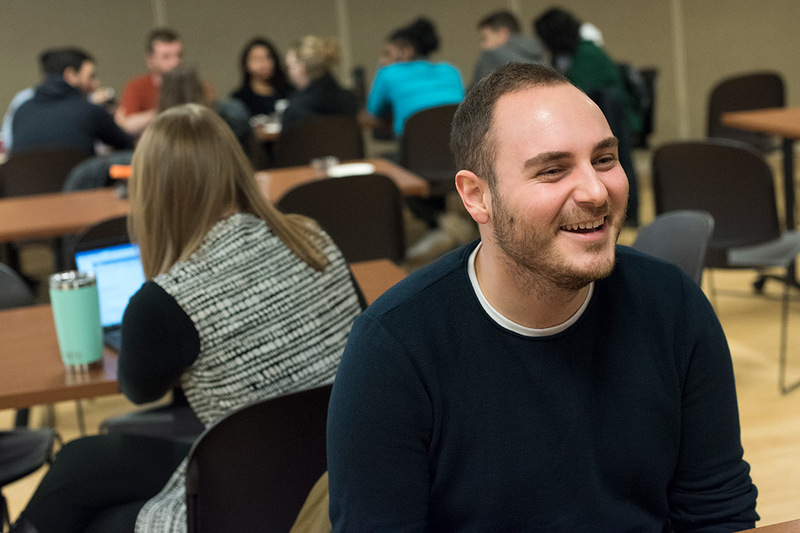 In their workings sessions, the students learned how Student Government at RIT’s different campuses use budgets, advocate for their students and best communicate. Several campuses are now using the Paw Prints petition program, although it’s more popular on some campuses than others. 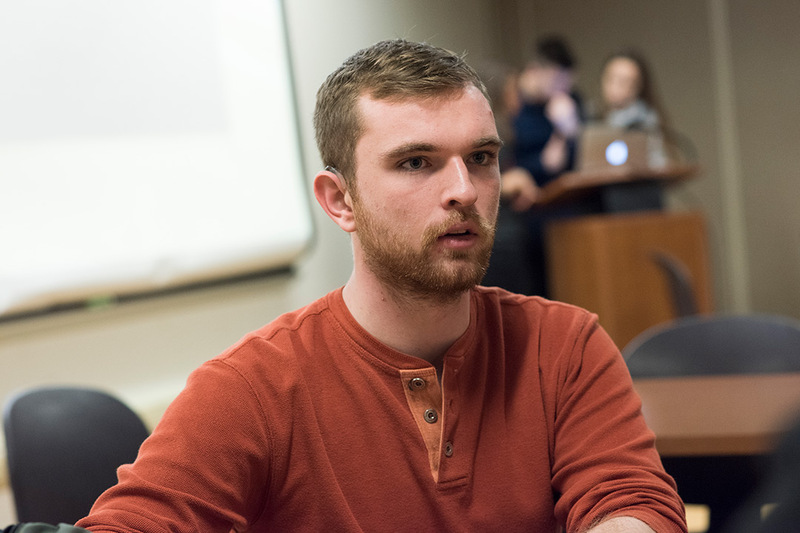 “I learned how we can better work together, being a global community,” said Eris Cunaku, Student Government president at RIT Kosovo. He said learning from others helped them know “what works and what doesn’t” on their campuses. “I learned a lot about teamwork and team management and synergy, where the group together has more power than one individual,” said Larry Williams III, of Rochester, director of Student Government’s student relations. Many of RIT’s Student Government leaders talk weekly through Skype, but they said meeting face-to-face has given them friendships that may last a lifetime. 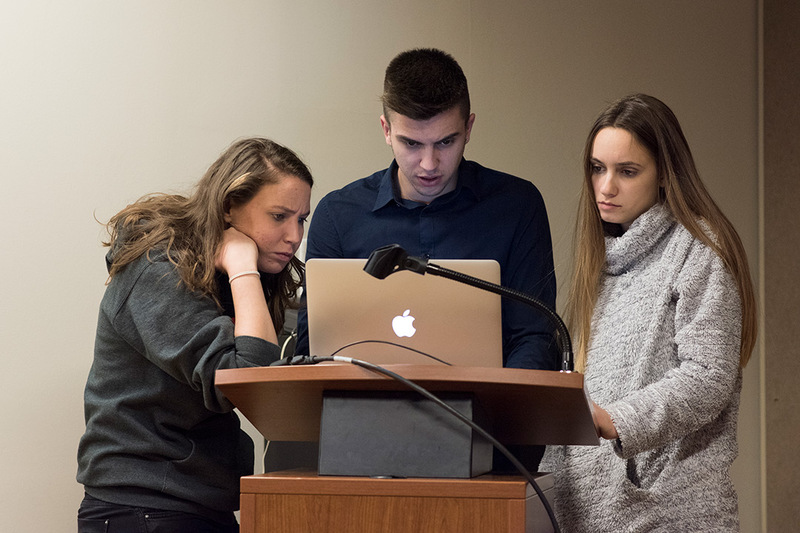 “I was looking forward to meeting new people, especially in Rochester,” said Niko Katusic, Student Government president of the RIT Croatia campuses in Dubrovnik and Zagreb, who edited the video. 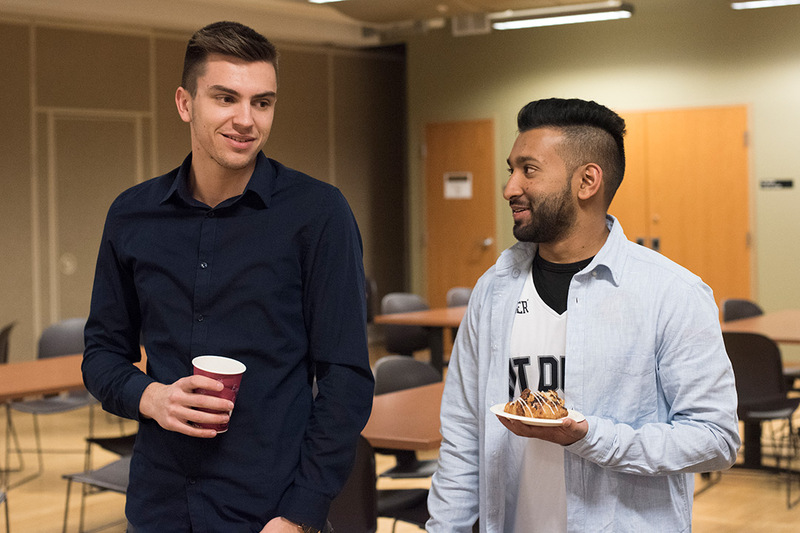 The visit also got Ardit Gashi, a third-year student in Kosovo, thinking about spending a semester or pursuing a graduate degree at RIT’s Rochester campus. Donika Kristaj, communications director for the Student Government in Zagreb, said her only other experience with American culture was through the movies. Many of the students planned to visit New York City this week before they fly home.